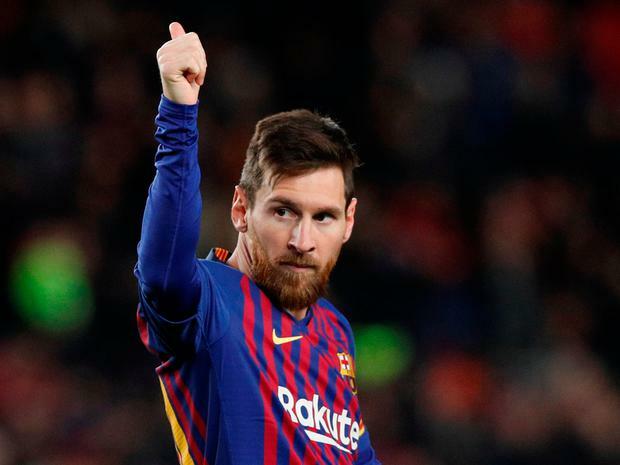 After Messi's final strike, a brilliant chip from the edge of the box which went in off the underside of the bar, the home fans at the Benito Villamarin Stadium rose as one to hail the five-time Ballon d'Or winner. Valverde said that showed the standing Messi - who also hit the post late on - has in the game. The Barca boss told Movistar Partidazo after the game: "Leo's match has been extraordinary. He scored three goals and could have scored a fourth. "It's evidence of the player he is. Despite the opposition being on the receiving end, we are all enjoying this era of his, which is unequalled. "It's significant that they cheer him, it's an acknowledgement." He said: "To be honest no, I don't remember the opposition fans giving me an ovation for a goal. I'm very grateful for the response from the fans. "We're always treated very well when we come to this stadium. I'm very grateful and happy for the win, which was very important." Messi said: "They were great goals, but the important thing was getting the three points. "It was a very good opportunity to increase the gap, we knew the result from Atletico and we couldn't slip up. "The boss read the game very well, tactically it was perfect and we didn't suffer, just the opposite." By Press Association Sport staff Former Manchester United defender Gary Neville launched a scathing attack on the club following Saturday’s heavy 4-0 defeat at Everton.